Prayagraj Kumbh Mela has already started and now the Uttar Pradesh state govt. invites online applications for Photography Contest. Interested candidates can apply online by filling the UP Kumbh Mela 2019 Photography Contest Online Application Form at kumbh.gov.in. All the applicants can participate and upload photographs representing Divya Kumbh, Bhavya Kumbh and winners can get cash prize of upto Rs. 5 lakh. The UP state govt. is looking for photos to showcase the best of what it represents like from early morning scenes to myriad scenes of daily life which are delightful to watch. Now all the Kumbh 2019 photography contest participants can take out their camera and hit the streets and capture their favorite moment of Kumbh magic. The Kumbh Mela 2019 Photography Contest has started from 30 January 2019 and the last date to apply online is 10 February 2019. 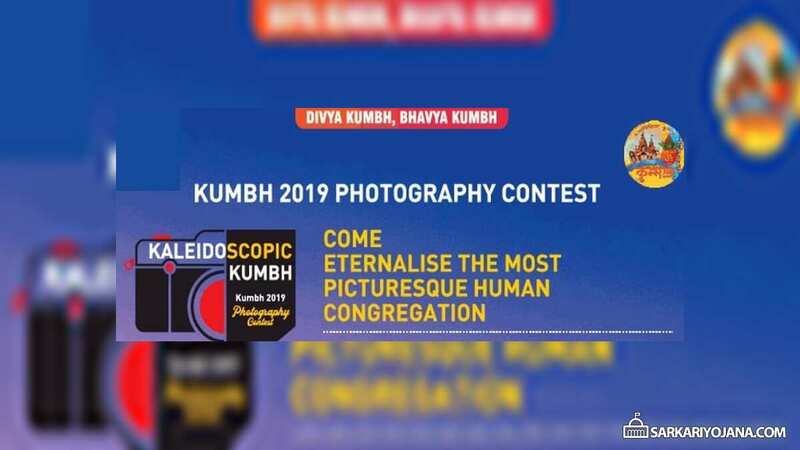 The Kumbh Mela photography contest winner’s announcement would be made on 15 February 2019. At the homepage, scroll over the “Kumbh 2019” tab and click at the “Photography Contest” link. Here candidates can enter their name, e-mail ID, mobile number and upload images (subject wise as mentioned below in this post) along with description and finally hit at the “Submit” button to participate in the Kumbh Mela 2019 Photography Contest. The duration of Kumbh Mela 2019 online application form is 30 January 2019 and 10 February 2019 and the winner would be announced on 15 February 2019. Moreover, the UP state govt. will also organize an exhibition in the 3rd week of February 2019. Life at Kumbh 2019 – Images presenting essence of Kumbh. Making of Kumbh – Images captured before and during the Kumbh. Mesmerising Kumbh / Divya Kumbh Bhavya Kumbh – Images presenting the grandeur of Kumbh. 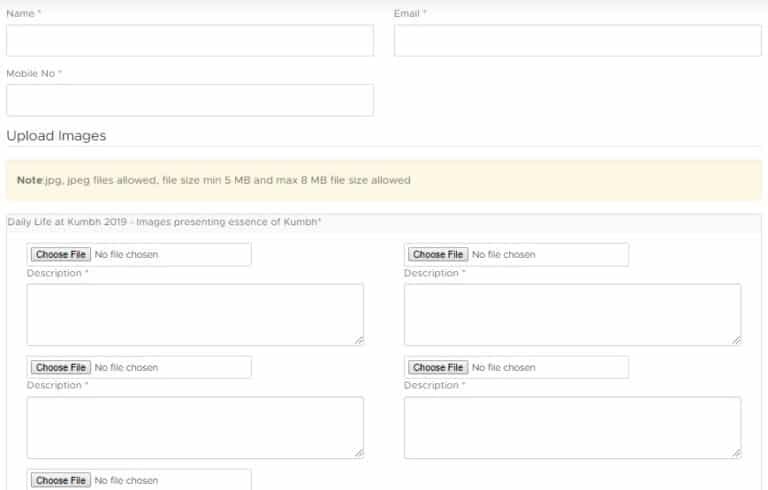 Open – Images not included in above categories. All the participants must only upload subject wise photographs for which there is prize money as mentioned in the below section. The winning entry and the other consolation entries are going to be featured on the official website along with the name mentioned. Moreover, all the winning entries which are received will be put as an exhibition for a week in Prayagraj Kumbh Mela 2019 for visitors and media to see.